Cat® telehandlers serve a wide range of material handling applications. Their combination of exceptional lift height, reach capacity and visibility makes them well-suited for use in construction and agriculture. Legendary Caterpillar® reliability and durability ensure your telehandler provides many years of service to your company. 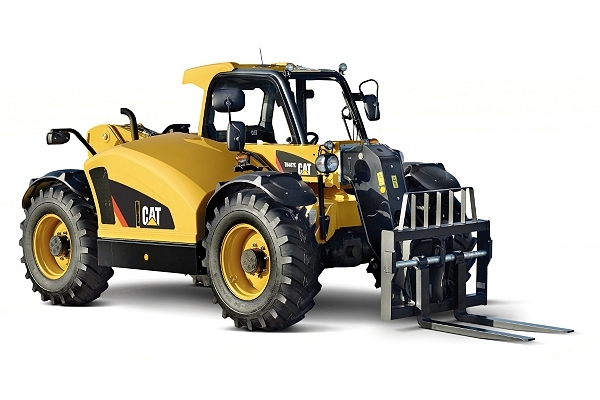 As an authorized Cat equipment dealer in Indiana and Michigan, MacAllister Machinery is your one-stop source for Cat telehandler parts that will keep your machines on the job. You’ll get the benefit of a comprehensive parts inventory, competitive prices, and fast and convenient ordering — along with more than 70 years of Cat product knowledge and expertise. 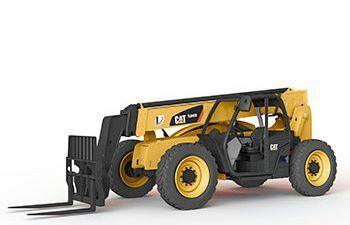 Whether you’re looking for batteries, belts, hydraulic system components or anything else to keep your telehandler on the job, new parts from MacAllister Machinery will provide the most reliable long-term solution for your company — you’ll receive an excellent return on your investment. We carry genuine OEM Cat parts featuring the most advanced technology to maximize performance and longevity. New Cat parts are built for it! If yours is like many Indiana and Michigan companies these days, you’re working with a tight equipment budget. MacAllister Machinery can help you economize by offering a full complement of used telehandler parts for sale. These high-quality Cat parts allow you to cut costs without cutting corners. You’ll notice the difference in the area that matters the most: your bottom line. You can also save money by purchasing remanufactured parts and components for your Cat telehandlers. These expertly rebuilt parts comply with high Caterpillar standards for quality and reliability — and they cost much less than comparable new products. You can also acquire these parts via our exchange program, where you trade in your old, worn-out items for refurbished ones. Many of our customers use the exchange process to minimize their telehandler preventive maintenance expenses. If you want to get parts and components in a hurry, MacAllister Machinery can accommodate you! Order your telehandler parts at any time by visiting our online parts store. You’ll have access to more than 1.4 million Cat products that are available for immediate purchase. You can also give one of our local branches a call for friendly, personalized selection and ordering assistance. Our proximity to Cat distribution centers ensures a fast delivery process. You can choose the delivery option that works best for your company. We’ll ship your parts directly to your place of business or your jobsite. You can also arrange to pick them up at a nearby MacAllister Machinery store or one of our convenient drop box locations. Order Your Telehandler Parts Today! Get all the parts you need to keep your telehandlers operating at peak efficiency. Browse our selection of new, used and remanufactured parts online and place your order today. 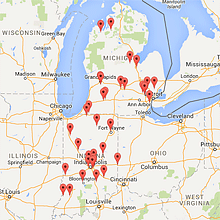 You can also give the MacAllister Machinery location near you a call for ordering assistance.